Billionaire Mitchell Rales built this mansion and associated buildings in Northeast Harbor on Mount Desert Island in 2010. 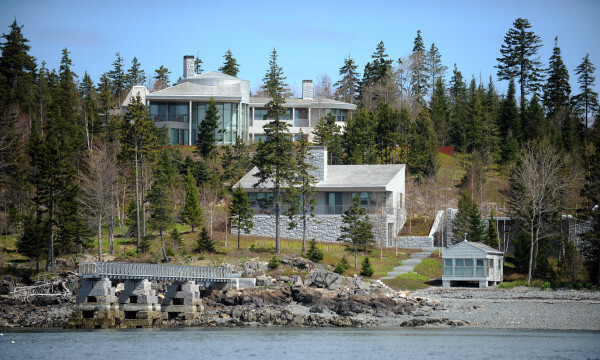 MOUNT DESERT, Maine — A billionaire who built a mansion in Northeast Harbor in 2010 has filed a lawsuit against his neighbors over access to a beach and wharf in front of his house. Peabody Land LLC — which is listed in the complaint filed last month in Ellsworth as the legal owner of Rales’ property at 137 Peabody Drive — argues that access to the beach and wharf some of the abutting property owners have is restricted to pedestrian traffic on a specific path that follows the shore on Rales’ property. Other neighbors, the complaint adds, have no such access rights whatsoever. Whatever access rights some neighbors have to the beach are limited to boating purposes only, according to the complaint. Access to the wharf is even more strict, it adds. Some neighbors are allowed to travel to and from the wharf but are not otherwise allowed to use the structure, the complaint indicates. The complaint seeks a court order barring people from gathering on Rales’ property. Rales, 59, co-founded the Danaher Corp. with his brother Steven Rales and lives in the Washington, D.C, area for much of the year. Mitchell Rales has an estimated net worth of $3.5 billion, according to Forbes magazine. The Danaher Corp. is a global firm that designs, manufactures and markets professional, medical, industrial and commercial products and services. The defendants in the lawsuit are Coffeepot Realty LLC; Alexander, Paul and Peter Goriansky; The Winnestay LLP; John E. Anthony; and Elizabeth R. Rendeiro, trustee of the Frances H. Eliot Trust. All of the properties in question, according to the lawsuit, once were owned by Charles W. Eliot, president of Harvard University and one of the founders of Acadia National Park. None of the neighbors helped to pay those costs, according to the complaint. Sara Pierce, whose family owns the Coffeepot property at 131 Peabody Drive, said Monday in a prepared statement that she and her family are “deeply disappointed” that Rales has filed the lawsuit. She said they have used the beach and wharf for more than 100 years. “The Coffeepot family has a perfectly legal and deeded right-of-way access to access and use the wharf and [beach] landing place going back to 1927 and before, which Mr. Rales and his lawyers knew when he bought the property,” she said. Attempts Monday to contact attorneys representing Peabody Land LLC were unsuccessful. It was not clear from court documents if other defendants in the civil suit had hired attorneys to represent them in the case.